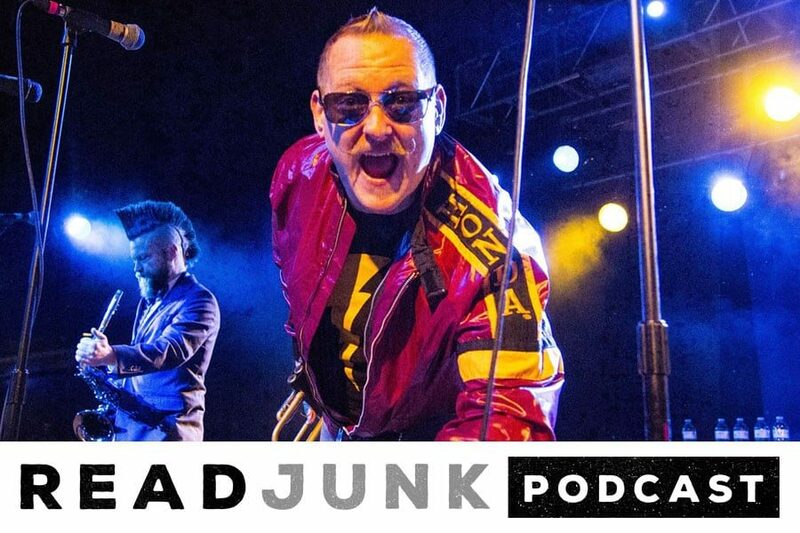 Episode 30 of the ReadJunk Podcast is with trumpet player Johnny Christmas from Reel Big Fish. My twin brother Matt and I went down to the Skanksgiving show in Sayreville, NJ at Starland Ballroom. We talked with Johnny about the band, their new album and single, music videos, Johnny appearing in Galaxy Quest, we talked about Queen and the movie Bohemian Rhapsody, Warped Tour, Rock cruises, Zorba The Greek and a bunch of other things. Thanks to Tom and Mike for setting it up, and thanks to Johnny for sitting down with us for an hour. Next episode is up in the air. Could be a year in review/Xmas stories episodes with my brother Matt or maybe I’ll interview someone else over Skype. Not sure yet, I’ll try to have at least one more episode before the end of the year. For now, enjoy this episode with Johnny Christmas! You can read my review and see my photos from the Skanksgiving show here.